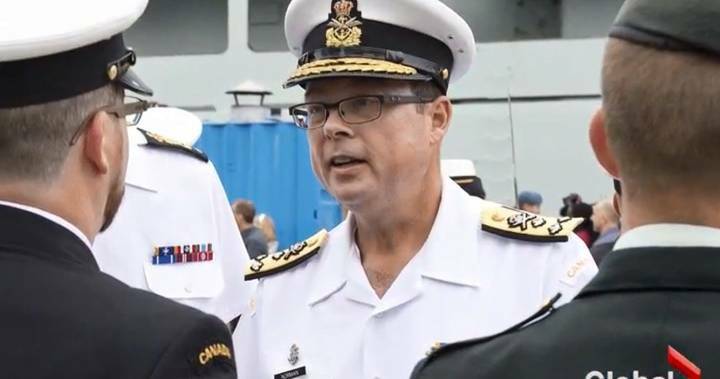 Last week there were numerous twists and turns in the legal tribulations of Vice Admiral Mark Norman. Formerly Canada’s second highest-ranking officer, Norman was relieved of his duties in January 2017 and subsequently charged with a single count of Breach of Trust. The charge stems from the allegation that back in 2015, Norman leaked information about a shipbuilding contract to an acquaintance at Davie Shipyard and to a journalist at the CBC. Earlier in 2015, the Harper Conservatives had penned a memorandum of understanding with Davie Shipyard to modify a civilian vessel for use by the Royal Canadian Navy as an interim supply ship. The contract was valued at $688 million, and contained a cancellation clause of $89 million. At the time, Norman was the Commander of the RCN, and the Navy’s old supply ships, HMCS Protecteur and Preserver had recently burned-out and rusted-out respectively. Canada had desperately resorted to renting at-sea resupply services from the Spanish and Chilean Navy in order to conduct sustained operations. When the Trudeau Liberals came to power in October 2015, Scott Brison, the newly appointed President of the Treasury Board asked Cabinet to reconsider the Davie deal and perhaps take a closer look at an unsolicited proposal from Irving Shipyard to build the interim supply ship instead. Word of this possible delay, and a reminder that this would come with an $89 million cancellation cost was leaked and then reported publicly by James Cudmore at the CBC. The airing of this information in public was enough to force the government’s hand, and the final contract was signed with Davie. For the record, the result of this initiative was the reconfiguration of the MS Asterix, which was completed on budget, on time and has just completed an impressive full year of service to the RCN. The crux of the Crown’s case against Norman rests upon the fact that he allegedly leaked information that was considered Cabinet confidence. Ironically, the news of Norman’s suspension from his post was made public through a similar leak to the media. As there was no initial context given to his firing, pundits wildly speculated for ten days that the good Admiral may have been involved in anything from sexual impropriety to international espionage. Eventually an official statement clarified that the investigation into Norman involved a shipbuilding industry contract, but the reputation-damaging speculation had already run its course. No one investigated the source of that leak. Instead, in the lead up to his actual trial, the legal proceedings surrounding the Norman case have served to reveal a culture of cover-up at the highest levels of the Defence Department. It was in pursuit of this hidden paper trail that Norman’s ace legal council Marie Henein, subpoenaed several high profile witness to last week’s pretrial hearings. We now know that Norman was given a number of coded monikers – “The Kraken”, “The Boss”, “C34”, “MN3” and “The substantive VCDS”. Chief of Defence Staff, General Jonathan Vance explained to Henein that there was nothing sinister about these coded abbreviations; they were simply military acronyms and ‘jargon’. The “Kraken” is a fictitious sea monster, but we are to believe it is the phonetic pronunciation of CRCN, the acronym for Commander of the RCN. The use of “C34” should be obvious to everyone that this means Admiral Norman because he was 34th Commander of the RCN. Equally obvious should be “MN3” which is allegedly an abbreviation of his email address, which includes the number three owing to the fact that there are at least two others who share the name Mark Norman with Canadian Forces emails. Therefore, we should naturally understand that “N3” is just an abbreviation of that same abbreviated email code. So you see folks, it is not a ‘spider’s nest’ as described by Henein to the court. It is simply some very clear staff work conducted by senior officials who admit to frequenting the rodeo – presumably as clowns. This all promises to be a very intriguing exercise as Admiral Norman’s legal team sheds the light into some deliberately dimmed chambers. That said, at the end of the day, leak or no leak, the MS Asterix is a profoundly unique procurement project, in that it is a complete success.